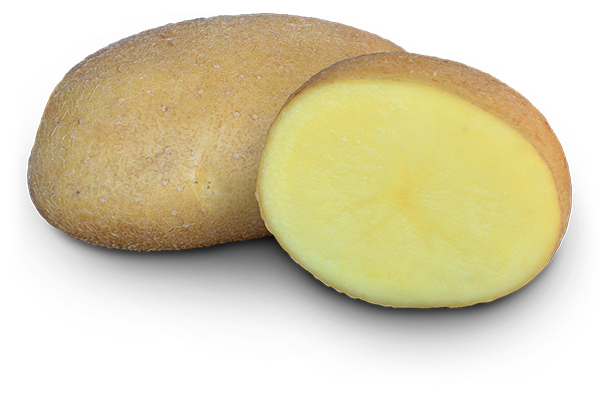 Lady Amarilla produces deep yellow fleshed potatoes perfect for making crispy golden home-made fries. This large garden variety also works well as a delicious baker potato for those late summer BBQ’s. Lady Amarilla is a mid-season maturing variety. Plant whole (or cut) seed potatoes in mid-May for a late August harvest. 90-105 days till maturity. This variety produces larger elongated potatoes. Space 30-36cm (12″- 14″) apart. This variety is better suited for gardens where they have the space to grow bigger. 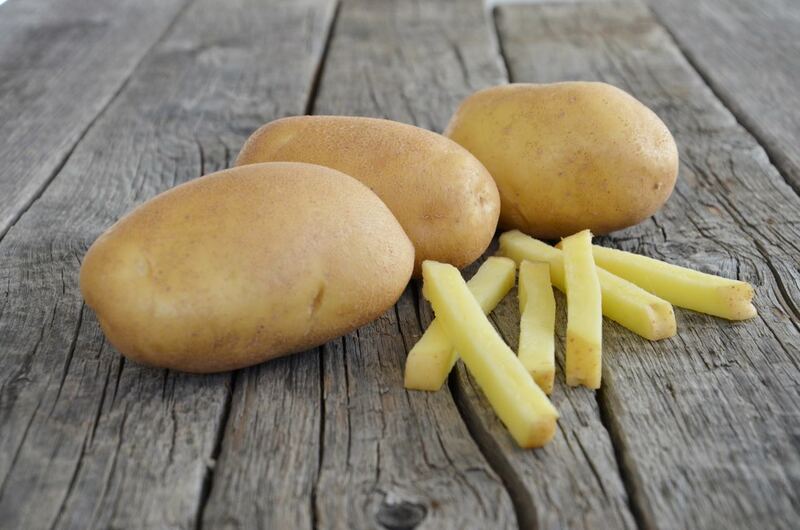 Lady Amarilla has excellent frying qualities making it perfect for home-made fries and chips. Even after long term storage, the frying qualities will remain consistent and produce good quality fries. 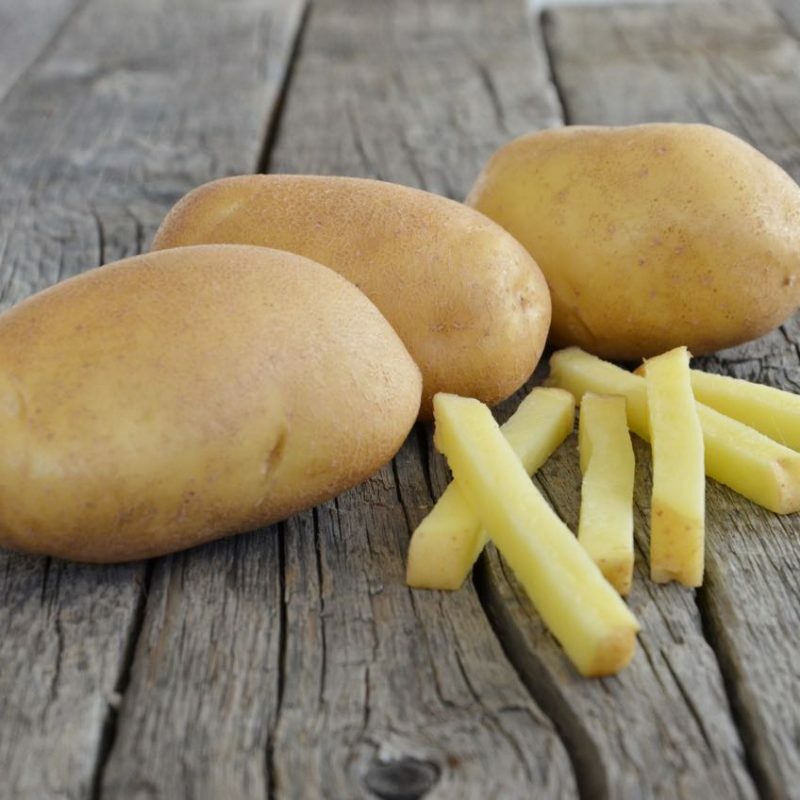 It is also ideally suited as a yellow baker potato due to its dry floury texture and can also be used to make a delicious deep-yellow mashed potato dish. Very good storage variety. Approximately 7 months at 6 degrees Celsius.